If you’re looking for shortwave radio reviews, you’ve come to the right place. Whether you’re looking for reviews of shortwave portables, tabletops, SDRs, or professional receivers, our site offers a rich treasury of curated information to help you find the right radio for your needs, to compare models–or just to learn about the unique world of radio, both past and present. Below, we outline how we organize shortwave radio information on our site. If you’re in a hurry, go to SWLing.com for simple reviews of popular radios, check our radio review archive on the SWLing Post, or browse our library of all shortwave radios currently on the market in our Shortwave Radio Index. SWLing.com – Our original site, SWLing.com offers a simple, straightforward primer on how to effectively purchase and use a shortwave radio. 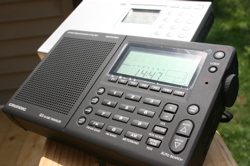 Best of all, it has a popular Radio Reviews page that lists the best portable and tabletop shortwave radios on the market. The reviews, which focus on the effectiveness and usability of each model, are written in simple language for the benefit of those just starting in the hobby, who may not yet know the technical jargon, as well as for non-native English speakers and young users. Clear instructions and definitions are provided. 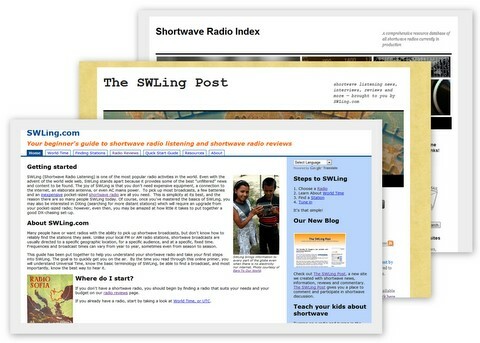 The SWLing Post – We post up-to-date news, reviews, interviews and everything shortwave. New posts are made regularly, often daily. Here, you can easily find our own in-depth shortwave radio reviews. These reviews are comprehensive and typically focus on one model at a time, offering comparisons to other similar radios. The Shortwave Radio Index – (here) At the SWRI we have curated an index of all shortwave radios currently on the market. That’s right, all of them. We add new models each week as they come on the market. The site is searchable by manufacturer, model, or type of radio. Each entry contains features and specifications of the radio with links to reviews on other sites, to retailers and resources for each model. This exhaustive index took some time to construct; as such, we continue to put a great deal of time into maintaining it. As with all our sites, this is a free resource for you to use and share. What’s more, you can contact us directly for specific instruction or advice. In your email, keep descriptions brief, and questions and comments clear; this makes it easier for us to help. Please note that we receive a lot of email, so do allow a few days for a response. Thank you for visiting, and please send feedback if you have suggestions on how to improve any of our sites. We like compliments, too. Welcome to the world of shortwave! Happy listening!